NEW YORK (Reuters) - The euro and British pound rallied against the U.S. dollar on Friday after Bloomberg News reported that British Prime Minister Theresa May is ready to drop a key Brexit demand in order to make a deal for Britain to leave the European Union (EU). May is willing to drop a requirement on the issue of the Irish border, which has impeded the two parties coming to an agreement, Bloomberg reported, citing anonymous sources. EU negotiator Michel Barnier earlier said that a Brexit deal was 90 percent done, but warned that failure to resolve the Irish border question could derail any agreement. The euro and sterling have been burdened this week by delays in the two parties reaching an exit deal. The single currency gained to $1.1512, after earlier falling to $1.1433, the lowest since Oct. 9. It is down from $1.1621 on Tuesday. 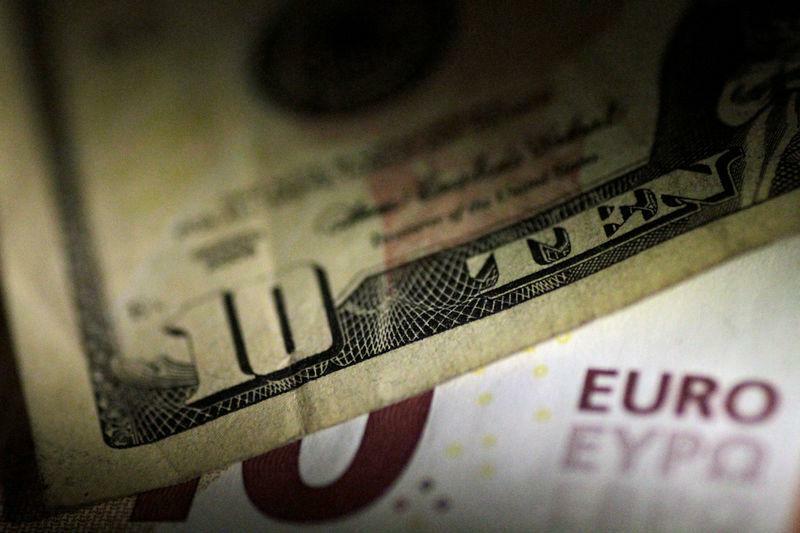 The euro has good technical support at $1.1422-$1.1432, Citigroup analysts said. Sterling rose to $1.3067, after earlier probing a two-week low of $1.3009. Investors taking profits on bets against the euro before the weekend also helped support the single currency on Friday. Ongoing concerns about Italy’s spending proposals, however, are likely to remain a negative for the currency. The European Commission on Thursday sent Rome a letter calling a draft budget an "unprecedented" breach of EU fiscal rules, the first step of a procedure that could end with Brussels rejecting the budget and fining Italy. Canada’s dollar dropped to a five-week low after Canadian inflation and retail sales data came in weaker than expected. The data is seen as unlikely to divert the Bank of Canada from raising interest rates again next week, though the inflation miss may make the central bank less likely to take a more hawkish view when doing so. “After the last meeting they discussed taking the word ‘gradual’ out of their communications and this cements ‘gradual’ will remain in communications,” Anderson said. U.S. data on Friday showed that U.S. home sales fell in September by the most in over two years.